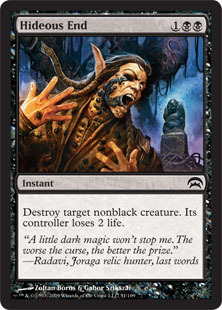 Now that everyone has gotten their fill of M19 Limited, it’s time for the next round of Flashback Favorites. 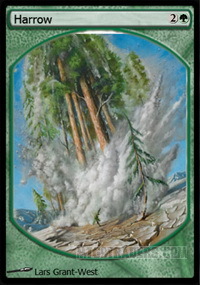 We’re starting with triple-Zendikar, and this format is certainly a favorite, as it’s the first article I’ve written three articles on, as it was both part of the Year of Modern Flashbacks and the first format under the “Flashback Favorites” moniker (which Wizards of the Coast doesn’t appear to be using these days for some reason). However, while I certainly would be stretching for content on a third article for a format (especially for one as relatively shallow as triple-Zendikar), my second article was just a remaster of the first one, so this will be the in-depth companion piece to the original article. Other than being about lands and being ruined by Eldrazi, what people think about with Zendikar (particularly the original Limited format) is that it’s one of, if not the fastest format of all time. 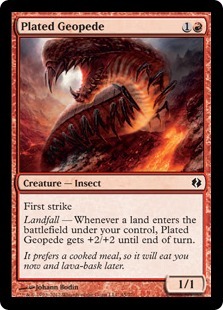 There are plenty of reasons for this: the Warrior Allies create a snowball that’s hard to come back from, Landfall creatures like Plated Geopede and Steppe Lynx are far above the curve even with just a land per turn, Vampires are aggressive and get better when your opponent is bloodied, and there’s a lot of haste and removal and not a lot of incidental lifegain. The question is what do you do about a fast format? The simplest adjustment is that expensive things are worse than you would expect. 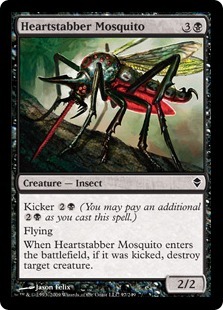 A card like Heartstabber Mosquito or Vastwood Gorger would be very powerful in the average set (think a core set like M19), but here they either don’t do that much or won’t be cast before you die. 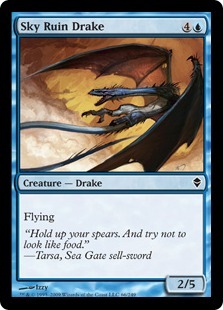 The top of the curve you should be considering is four, with cards above that needing to justify their existence, either because they’re the best at what they do (Sky Ruin Drake , rare bombs like Malakir Bloodwitch and Rampaging Baloths ) or can be cast cheaper a reasonable amount of the time (Traps, Kicker cards with good non-kicked forms). So what does a slower deck look like? 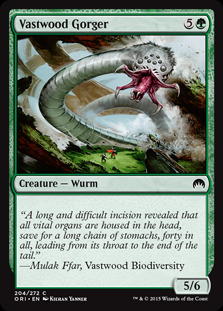 The important part is that it has a lot of removal, especially since a lot of the creatures are smaller on your turn—Disfigure would be one of the best removal spells in virtually any format you put it in, but when it can regularly kill four-drops like Windrider Eel and Timbermaw Larva in addition to all the cheap creatures it kills normally, and Burst Lightning is similar. 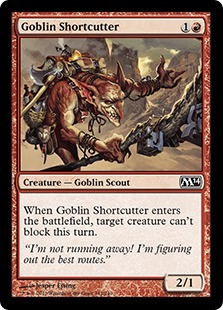 Cheap defensive creatures also exist like Kraken Hatchling and Giant Scorpion , though you have to have other solutions other than blocking to get around fliers, bounce, and the pair of Kor Hookmaster and Goblin Shortcutter . Again, slower decks are possible (while it’s ZZW, the LSV Lorthos draft is a classic example), but fast (or at least faster) should be your default in triple-Zendikar. 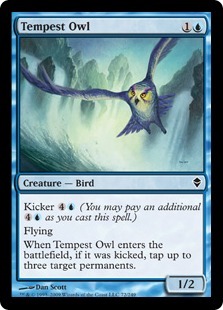 Between white and blue there are seven common fliers, and while that includes clunkers like Noble Vestige and Tempest Owl , it also includes many aggressive creatures like Welkin Tern , Kor Skyfisher , and Umara Raptor . 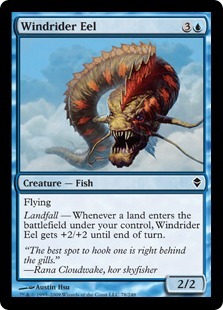 When you combine that with larger fliers like Windrider Eel , uncommons like Shepherd of the Lost , and ways to stop ground creatures like Kraken Hatchling and Makindi Shieldmate , this is a good way to start the aggressive trend. 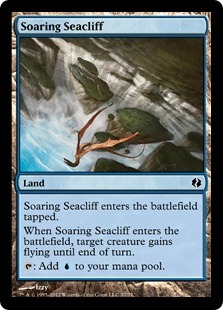 There are also a lot of things that grant flying in this format like Soaring Seacliff , Nimbus Wings , and Windborne Charge , so even though these cards are better in other archetypes where you naturally have more ground creatures, don’t forget about them here. 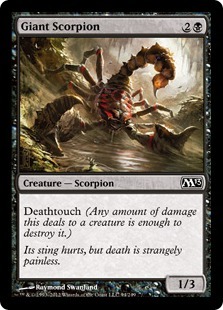 Both blue and black have lots of ways to stop ground creatures like Giant Scorpion and Kraken Hatchling , and black’s removal can fill in the gaps. 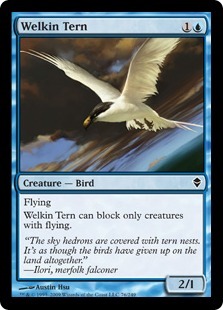 Since you also have a decent number of fliers, this is one of the few controlling decks that can work in this format, though even then you can’t be too slow. 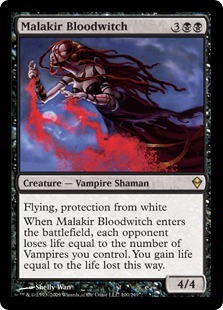 Rakdos has the most direct damage with cards like Blood Seeker , Hideous End , and all the various red burn, which makes it the best place for the “bloodied” vampires. 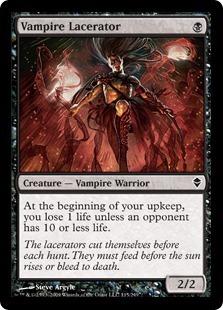 The problem is that taking the “suicide” aggro approach with Vampire Lacerator and other small creatures doesn’t seem that great when you can do similar things in other colors without hurting yourself, especially in an aggressive format. 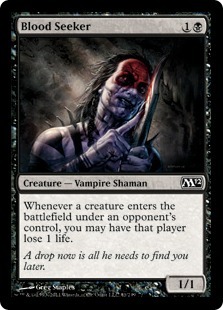 That just makes the removal and small amounts of lifegain like Vampire's Bite and Vampire Nighthawk more important. 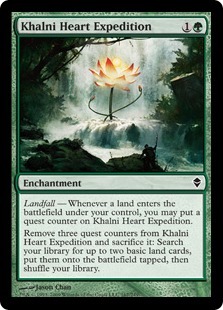 Ramp seems like it would be great in a lands-focused format, but the hyper-aggro decks hurt that plan, no matter how fast Khalni Heart Expedition and Harrow can bring out a Baloth Woodcrasher or Geyser Glider . 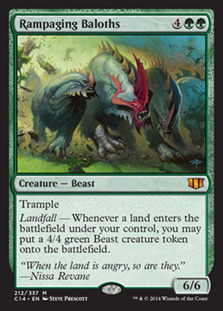 Grazing Gladehart helps a lot, but you only have so many lands and Landfall triggers, and if you need five or six lands to truly start getting value out of them it’s going to be difficult to close things out in a timely fashion. 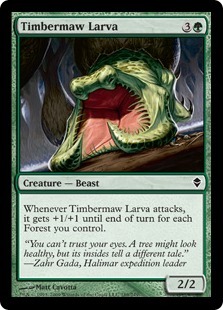 The anti-synergy of Spire Barrage and Timbermaw Larva also hurts the color pair as well, as I mentioned last time. I mentioned in the last article that this color pair seemed disjointed, but I feel like I’ve found at least some plan: put out big things, then send them into the air. 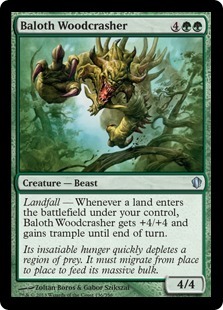 A Timbermaw Larva , Baloth Woodcrasher , or even Vastwood Gorger with a Nimbus Wings attached is scary, you need to survive to that point. It’s better than “there’s no plan with this color pair”, but I still wouldn’t recommend going into this color pair if you don’t have to. There isn’t much of a cohesive theme in the Orzhov combo, so I wouldn’t start here. 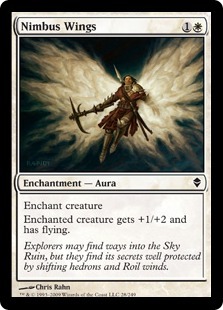 Then again, this might just be the color pair with all the good removal, especially since white has better removal than average (mostly thanks to Journey to Nowhere ). 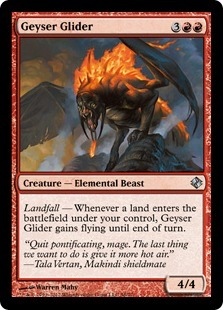 The tentpoles of fliers, burn, and bounce are all here for a tempo deck, and while I said in the previous article I was worried about spending cards on bounce when you want a lot of Landfall triggers, the trade-off is that you get extra value when you spend bounce on creatures your opponent has buffed with Landfall. The card quality and synergy both works, so I’m higher here than previously. When you have a format as fast as Zendikar, an “average” midrange deck ends up being just a hair too slow for the format. Again, there are good cards in the Golgari color pair, but I don’t know if they’re good enough to stabilize against the hyper-aggro decks. When everyone is going fast, is there such a thing as going too fast? 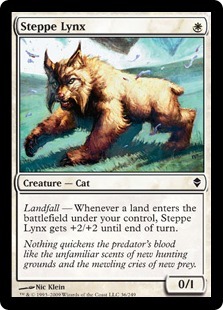 I still don’t know if Steppe Lynx is an all-star in draft, and this is really the only deck that would want it. 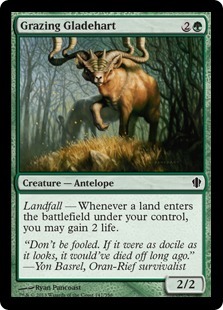 You also need at least some high-end, especially since you need to stuff your deck with more lands than average so your undercosted cards actually do something. 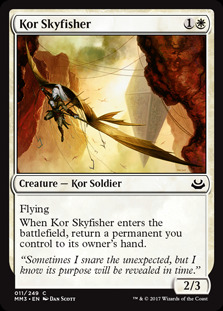 The other problem is that everyone wants these cards, so this deck will be contested more than average, especially from the players who only know of the hyper-aggro side of Zendikar. 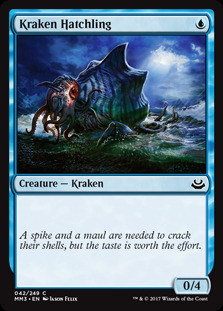 It feels like the Simic manages to strike the balance between having a late game and having the defenses to get there. 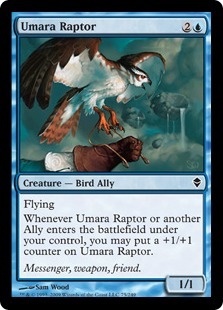 In particular, the pair of “warrior” Allies Umara Raptor and Oran-Rief Survivalist are the most efficient, which lets the color pair strike the balance of deploying threats early that are meaningful later. We got a new State of MTGO article this week, and while everyone is going to talk about Chaos Draft, for my columns the most interesting part is the pair of Treasure Chest roadmap updates in the companion Announcements article. 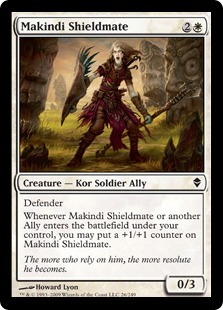 The first part is the continuation of Battlebond additions, as the Guilds of Ravnica update will add all the “Partner with” cards, notable Constructed cards Spellseeker and Stadium Vendors, and some other missing cards like Archon of Valor’s Reach and Jungle Wayfinder. By our count that means the only missing cards are the Assist cards and Grothama, All-Devouring, which is a decent hit rate. Of course, good news often comes with a bit of bad news, and the update also told us that the Commander 2018 cards wouldn’t come to MTGO until early December. While the delay isn’t exactly good news, especially after Battlebond started to come out at the M19 update, keep in mind that last year Commander 2017 came out in November, since it wasn’t that much of a hit. 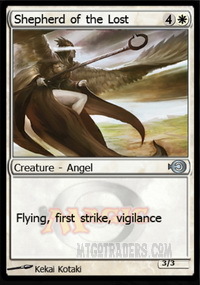 The other interesting news is that WotC plans to release all the cards from C18, which would be nice after the last two Commander sets were missing cards. 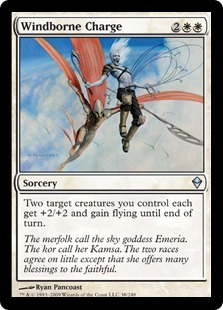 Then again, there aren’t any Portal Mage-level weird cards in C18, with the weirdest new cards being the “Commander Storm” cycle, Commander ninjitsu on Yuriko, the Tiger's Shadow, Arixmethes, Slumbering Isle, and Aminatou, the Fateshifter’s ultimate. 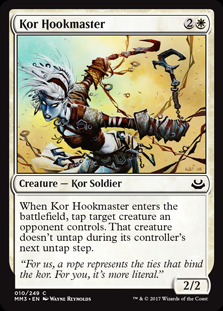 I’m wondering if it’s just a coincidence that this year’s Commander set is less complex, or if WotC caught some heat on the past two years of omissions (in particular Mairsil, the Pretender) and changed their process on supplemental sets to include MTGO in the process. 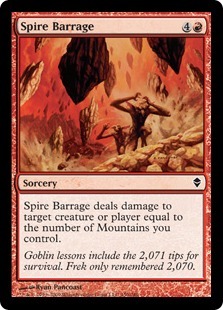 A relatively light article this week (that would have been even lighter if Treasure Chest news didn’t save me), but Zendikar doesn’t have the most depth to it, as there aren’t build-arounds or other non-obvious strategies, just attacking and good removal. The next Flashback is Khans of Tarkir, so I have plenty to talk about there, especially since that will be the first time I cover it in my Flashback articles. Of course, there’s the Chaos Draft, but I’m not sure if I want to cover that—are people interested in my take on that, or is it too random for a card-based analysis, especially since we don’t know the specific card sets yet? No matter what my next article is, until then.